The World Anti-Doping Agency (WADA) is in trouble. Among many allegations WADA is accused of being complicit in hiding two positive EPO tests returned by Russian swimmers. In addition two top officials at the anti-doping laboratory in Bucharest have been removed from their posts after it was found that they covered up positive samples. WADA is also under huge pressure for their decision to readmit Russian cheats. The noose of honesty is tightening around the neck of the WADA organisation. It seems the calls for justice and reform have merit. WADA has not performed well. It has not protected the welfare of clean athletes. WADA has cozied up to Putin and excused his unforgivable rule over Russian cheating. WADA’s stewardship has been deficient and negligent. And sitting squarely in the center of the WADA mess is a top New Zealand swimming official, Dr Dave Gerrard. Gerrard is the current President of Swimming New Zealand (SNZ). Since 2013 he has also chaired the WADA Therapeutic Use Exemptions Committee. I guess the important question is – can sport in New Zealand afford to have someone involved at a high level in an organisation that has covered up and sanctioned drug cheating also act as President of a leading national sport? Gerrard occupies a senior position in an organisation, WADA, which is accused of turning a blind eye to Russian swimmers who use EPO and compete against New Zealand swimmers. Gerrard, by association, is involved in WADA policies that have hurt New Zealand swimming. Whether Gerrard is innocent or guilty, complicit or blameless does not really matter. The smell of corruption taints everyone. It especially affects the senior officials involved – and that is D. Dave Gerrard. Gerrard should know that suspicion is the reality of his position in WADA. Gerrard is toxic because WADA is being investigated for failing to protect clean athletes, not because Gerrard is necessarily guilty, but because of his association with corruption. Gerrard must know that. Any decent human being, in Gerrard’s position, would want to protect sport in New Zealand. While WADA is charged with malfeasance, Gerrard should want to make sure SNZ is not contaminated by WADA’s problems. Gerrard has a duty to SNZ to resign from his position as SNZ President. He should also be done with being Chairman of the WADA Committee. If he is innocent, his guilt by association is especially sad. But that’s life. There is a price to be paid for acting as Chairman of a senior WADA committee for five years while very bad drug decisions were being made. WADA behaved badly while Gerrard was at the center of WADA power. He shares responsibility for a series of bad WADA decisions. The price should be his resignation from WADA and the SNZ Presidency. Justice and good behavior demand no less. I would be appalled if Gerrard held on to both positions because of the perks and power they offer. I don’t know all the trappings that go with the WADA Chairmanship. I’ve heard talk of business class airfares, five star hotels and allowances of $500 a day. But just as seductive is the ego massage that goes with being a SNZ President and a WADA Committee Chairman. Gerrard has shown that he enjoys the status of being a senior administrator. Now he is finding out there is more than status involved. There is the price of responsibility. Responsibility to the organisation and responsibility to its members. Every swimmer in New Zealand deserves to see Gerrard stand down from being President of SNZ. Imagine the cleansing effect on us all of seeing Gerrard announce on the SNZ website that he is absolutely innocent but, while the problems at WADA are being sorted out, he is standing down from the Presidency of SNZ. Young swimmers would be inspired. An administrator had acted honorably; had acted in the interests of the members. A senior official had shown New Zealand swimming and world sport that he cares. Sadly I do not think Gerrard is capable of that gesture. My feeling is that he will cling to power. He will loudly proclaim his innocence. He will denounce critics as wrong and as trouble makers. 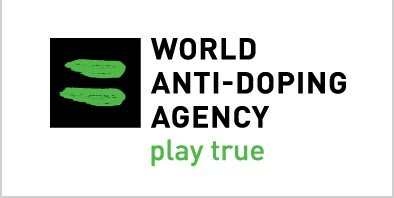 Already critics seeking to reform WADA are being referred to by WADA’s governance as representing a “small, politically motivated group of detractors” who again, according to WADA, are “attempting to destabilize the global anti-doping program by criticizing WADA”. The WADA Director General claimed that the number of reformers worldwide has “done nothing for this crisis”. According to him any positive suggestion for reform “undermines WADA”. I have little doubt that Gerrard will follow the lead of his international mates. His natural wish will be bolstered by the New Zealand sport and swimming establishment. Those around him, people like Miskimmin, Cotterill and Johns will support his decision to hang on to power. They will do that because that’s the sort of people they are. The retention of power and position is more important than doing the right thing. Power is more important than the welfare of their members or their sport. So there it is. Will Gerrard do the right thing or will he focus on holding onto power? It is impossible to do both. While WADA is being investigated the choices are clear. They are stark. They are black and white. I wonder which way Gerrard will jump. Is he really a person committed to his sport or to himself? We are about to find out. This entry was posted on Monday, November 5th, 2018 at 5:02 pm and is filed under Training . You can follow any responses to this entry through the RSS 2.0 feed. Both comments and pings are currently closed.